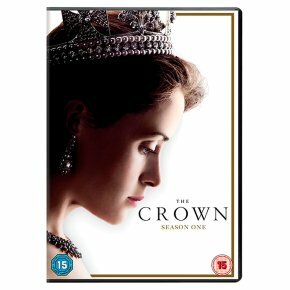 All ten episodes from the first season of the biographical drama based on the life of Queen Elizabeth II. The story begins in 1947 as Elizabeth (Claire Foy) marries Prince Philip of Greece and Denmark (Matt Smith). As the couple settle in to married life, performing royal duties in the place of her father King George (Jared Harris) due to his ill health, Elizabeth's life takes a dramatic turn when she receives the news that her father has passed away. As she tries to grieve for her father, Elizabeth returns home to take her place on the throne as the new Queen of England. The episodes are: 'Wolferton Splash', 'Hyde Park Corner', 'Windsor', 'Act of God', 'Smoke and Mirrors', 'Gelignite', 'Scientia Potentia Est', 'Pride & Joy', 'Assassins' and 'Gloriana'.